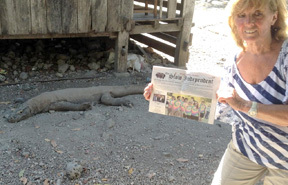 During Kathy Myles’ three week trip through Indonesia, she and her Stow Independent got up close to a Komodo Dragon on the island of Komodo. 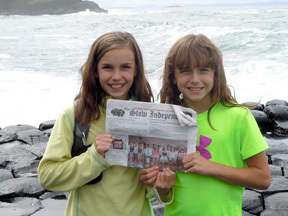 This is a UNESCO World Heritage Site which has attracted scientists from around the world. Described as a monitor lizard, the scaly giants range between 6 and 10 feet long. A Ranger was standing close by for protection. 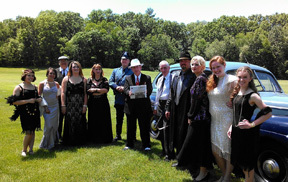 Members of Nashoba Drama met up with Al Capone and his gang at the Collings Foundation on Father’s Day weekend.